Have you been bitten by the travel bug yet? Maybe it's a mid-20s thing, but most of my friends are just now discovering the world and how awesome traveling can be. Actually, let me rephrase that. Most of my friends that have outgrown the crazy "I just want to party" phase are now traveling the globe and adding the phrase "wanderlust" to their Instagram bios. Some of them are road tripping throughout the USA, others are cruising around the Caribbean, some are hiking through South America, and others are hitting the main European cities in full splendor. I love seeing everyone's pictures, so I'm living vicariously through their Swarm check-ins and their Instagram posts. Like, I follow a girl I met a few years ago during Winter Music Conference. She's a nurse from Canada, but travels the whole world and has the best adventures. She's gone to every Asian country, bunked with Tibetan monks, had a safari in Africa, rode camels past the Great Pyramids, met with Indian shamans in South America, and even went to Burning Man recently. It's like her posts could easily be pictures seen throughout National Geographic magazines. I have another friend who a few months ago traveled through the whole of France and Belgium with her boyfriend for a month and everything she'd post looked as if they were a part of a Travel Channel special. Seeing all those pictures has given A and me serious travel-envy, to a point that we've decided that one of our goals for 2015 is to travel, whether it's to Washington DC or to Australia, some kind of traveling is going to happen next year, mark my words. We've already started looking into traveling websites and travel agencies. All we need to do is set a budget and set a travel destination. Any recommendations would be much appreciated! In the meantime, baking and cooking will tide me over until then. 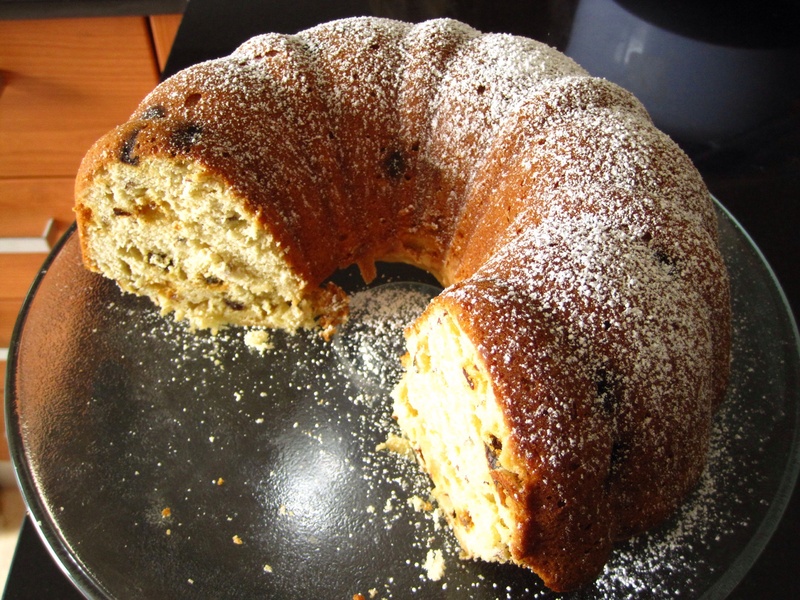 This post's featured cake is pretty good when accompanied with coffee or hot chocolate. The texture is a bit crumbly but still tasty. If I were to remake this, I'd add some amaretto into it or almond extract in order for it to pair well with the almonds that are in the batter. - Measure the liquid ingredients into the bowl of a food processor. Process for 2 minutes, or until the mixture is completely smooth. 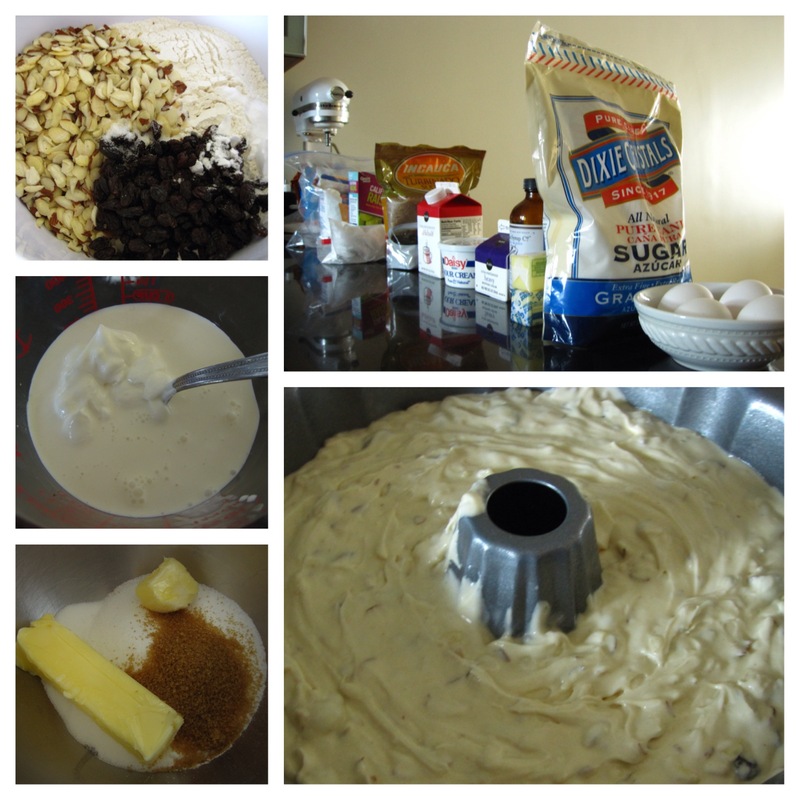 - Measure the butter and sugars into separate bowls and set aside. - Crack the eggs into a bowl and set aside. 3) In the bowl of a standing mixer fitted with the paddle attachment, cream together the butter and sugars on the lowest speed for 4 to 5 minutes. 10) Once the top of the cake doesn't jiggle in the center, test for doneness by inserting a bamboo skewer in the center of the cake. When the skewer shows just a touch of crumbs or comes out clean, the cake is done. Remove the pan from the oven and place on a heat-resistant surface or wire rack. 12) Store under a cake dome at room temperature, or wrapped in plastic in the fridge for up to 1 week. To store longer, label, date, and store the plastic-wrapped cake in the freezer for up to 2 weeks.